Although very little studied, and surprisingly little known—this undoubtedly being connected to his tragic premature death and the eclipse of philosophy of science in the post-war years—Albert Lautman has nevertheless already been labelled: as a Platonist,2 as some would have him, despite his exceptional mathematical learning and his close personal ties with Jean Cavaillès, Claude Chevalley, and Jacques Herbrand; as the obsolete remnant of an archaic (Brunschvicgean) idealism, and, for this reason, not ‘truly’ modern. Mario Castellana repeatedly emphasizes this in his excellent review of the Essay on the Unity of Mathematics3 published in Il Protagora where, having summed up Lautman’s text, he concludes, as a well-advised connoisseur of French epistemology, that whereas Cavaillès’s mathematical philosophy is free ‘of all Brunschvicgian philosophico-speculative influence, this influence is still present in Lautman’, and that this Platonism ‘is to blame for the limited success of Lautman’s thought outside of specialist circles, unlike that of Cavaillès’. Whereas Cavaillès (like Bachelard after him) sought to free reflection on mathematics and the sciences from all philosophical legislation claiming to impose some theory of cognition upon it, on the contrary Lautman, interpreting Hilbertian axiomatic structuralism in terms of a Platonic and Hegelian dialectic of the concept, tried to develop an authentic mathematical philosophy and, in doing so, failed to take proper account of the tendency toward the autonomisation of the sciences. This diagnosis does indeed accurately reflect what the few rare readers of Lautman tend to take from his work; yet a deeper reading leads us to revise it. To state it from the outset, in our opinion Lautman represents, without exaggeration, one of the most inspired philosophers of the twentieth century. His theses are of a real importance, and if just a fraction of the reflection dedicated to another philosopher, to whom he is of comparable stature but of opposing ideas—namely, Wittgenstein—had been directed toward Lautman instead, he would without doubt have become one of the most glorious figures of our modernity. The following few remarks on his work aim to help right this injustice. But although a mathematician, Lautman is also a real philosopher. Unlike almost all scientists (and equally, alas, most contemporary philosophers), he neither ignored nor disdained either Platonism, metaphysics, or the transcendental. He did not, like others, seek to disqualify the pure thought of being, but on the contrary sought to realise a new dialectical moment of this thought, via the history of pure mathematics. As he confided in an unpublished letter of July 18, 1938 to Henri Gouhier (a specialist in the period of Descartes, Malebranche, and Comte), his ‘effort’ was to consist in ‘making metaphysics depend not upon the “pathic”, but upon the “mathematic”’. Lautman prophetically understood that the structural (Hilbertian) conception of mathematics, far from leading to a conventionalist nominalism and relativism, on the contrary led to a new, sophisticated (in fact, transcendental) form of realism. But in emphasising the autonomy, unity, the philosophical value, the ideal ‘real’, the relation to empirical reality, and the ontological import of mathematics, he distanced himself from the dominant tendencies of the epistemology of his times. Formalist and structural in the Hilbertian sense, his conception was particularly opposed to nominalist, relativist, and sceptical interpretations of conventionalism. This is a particularly delicate point. On the plane of the cultural history of ideas, it is true that Lautman is, along with Cavaillès, one of those who militantly introduced German axiomatics into a French context dominated by the ‘intuitionisms’ and ‘instrumentalisms’ of Poincaré, Borel, Baire, and Lebesgue. While remaining faithful to certain aspects of the idealism of his maître, Brunschvicg, he played a determining role in the formation of what was to become the Bourbakian spirit. But on a philosophical plane, the question of conventionalism far surpassed these differences in tendency and conflicts between ‘schools’. All the more given that Poincaré’s conventionalism—which, in spite of what has been said, was unrelated to any scepticism or relativism—treated of the relations between mathematics and the eidetico-constitutive a priori of regional physical ontology, and could therefore be interpreted in Kantian terms. To make such an interpretation one need only begin again from the concept of the transcendental aesthetic. As we know, the latter is the object of a twofold exposition: the metaphysical exposition exhibiting space and time as forms of sensible intuition, and the transcendental exposition exhibiting them in their relation to mathematics. It is through the latter that the forms of intuition, to which of course phenomena must a priori conform, become methods of mathematical determination. To mark the difference between them, Kant introduces the concept of formal intuition—that is to say, a pure intuition determined as object. The space of geometry is more than a phenomenological continuum, more than a form of intuition. As a conceptually-determined formal intuition, it is also a form of understanding. But Kant thinks there is only one geometrical determination of phenomenological space (the unicity of Euclidean geometry). The development of non-Euclidean geometries proved him wrong on this point, and numerous later philosophers have used this as a justification for the wholesale liquidation of the synthetic a priori in the sciences. Conventionalism proposes an alternative to this radical antitheoretical conclusion.13 For the problem is in fact that of the underdetermination of the form of intuition by formal intuition. To become geometrical, the a priori of sensible space (representational space) must be idealised. Now, although empirically constrained, this process of idealisation is empirically (and experimentally) undecidable. It concerns an a priori formal faculty of intellectual abstraction that is autonomous in relation to sensible experience. Given this underdetermination, and on the other hand this autonomy, some criteria must be available in order to choose how the determination will be carried out—for example, that of ‘convenience’. If intuitive space as phenomenological continuum (as ‘amorphous’ form, as Poincaré said) does indeed preexist experience, then, and is a condition of possibility for its organisation, the same does not go for geometrical space. Its geometry is conventional, neither empirical nor a priori necessary. Yet it is nonetheless empirically conditioned and theoretically constitutive, a priori objectively determining for physics. As in every dialectic, these schemas of structure establish specific liaisons between contrary notions: local/global, intrinsic/extrinsic, essence/existence, continuous/discontinuous, finite/infinite, algebra/analysis, etc. Alongside facts, beings, and mathematical theories, they constitute a fourth layer of the mathematical real. 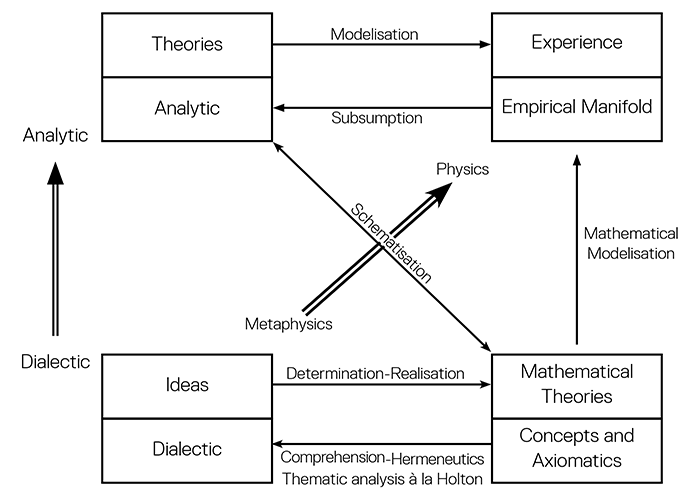 This said, the key to Lautmannian idealism is that, if mathematics is governed by a Dialectics of the Concept (and if, by the same token, mathematics is interdependent with the history of culture), this dialectics nevertheless only exists qua mathematically realised and historicised; in other words, ‘the comprehension of the Ideas of this Dialectics necessarily extends into the genesis of effective mathematical theories’.28 Lautman insists a great deal on this point, which alone suffices to distinguish his conception from a naive subjective idealism. Lautman identifies the relation between incomplete problematic Ideas and their specific realisations with the passage from essence to existence. Drawing the most extreme consequences from the ideality of mathematical entities, and from the nature of thinking as thinking of being, Lautman makes the comprehension of Ideas the source of the genesis of real theories. By ‘incarnating themselves’ in actual, effective theories, Ideas are realised within these theories as their foundation and thus—dialectically—as the cause of their existence. It is essential to note here Lautman’s reference—an explicit one—to Heidegger. The passage from essence to existence, ‘the extension of an analysis of essence into the genesis of notions relative to the existent’37—and thus the transformation of the comprehension of a sense into the genesis of objects—reprises the Heideggerian ontological difference between Being and beings. Lautman insists a great deal upon this, in particular in his New Researches. Thus transcendentally understood, the transformation of comprehension into genesis permits the articulation between the transcendence of Ideas and the immanence of the schemas of the associated structures. It is this intentional content of Ideas that renders them at once transcendent and immanent to the mathematical field. i. The Platonic tradition of the participation of the ‘sensible’ (here, mathematical idealities) in the ‘intelligible’ (here, Ideas). Lautman traces this all the way into Leibnizian metaphysics. ii. The Kantian tradition of constitution. Here the situation is quite complex, in so far as the relation between ‘sensible’ and ‘intelligible’ becomes that between transcendental aesthetic and transcendental analytic, with mathematics playing a constitutive rather than a dialectical role. Now, for Lautman, as we have seen, through the history of mathematics, a Dialectic of the Concept becomes transcendentally constitutive. With such a theoretical gesture come great difficulties in evaluation. For, although Platonist, Lautman’s dialectic is obviously not unrelated to transcendental dialectic (just consider the link between the thematic opposition continuous/discrete and the second antinomy). To render it transcendentally constitutive is thus in some way to historicise the a priori and, more precisely, in so far as mathematics exercises a schematising function relative to the categories of diverse regional ontologies, to historicise the schematism. iii. Whence Lautman’s highly ambiguous relation to Hegel. In Lautman we rediscover the speculative Hegelian conception of contradiction as the life of the concept and the movement of reason. But whereas Hegel affirms contradiction in the concept alone, independently of all relation to Kantian formal objectivity, and thus independently of any mathematics or physics, Lautman on the contrary affirms the labour of the speculative within the physico-mathematical itself. iv. Finally, as we have seen, there is also a strictly phenomenological component in Lautman’s conception of the mathematical real. Like Cavaillès, Lautman comes back to a critico-phenomenological conception of objectivity—that is to say, to the question of transcendental logic. But he critiques phenomenology in its guise as a philosophy of consciousness reflexively regressing towards a constitutive subjectivity. In order to clarify these various points, let us further develop three particularly delicate motifs. The passage from metamathematics to metaphysics. The reference to Hilbert’s axiomatic structuralism is foundational for Lautman. But through an authentically speculative gesture, Lautman will considerably enlarge the field of the significance of metamathematics. Thus the dialectical Ideas rethink metamathematics in metaphysical terms and, in doing so, extend metaphysical governance to mathematics. 2. If, on the other hand, we conceive this objectivity as pure construction, we will, like the logicists, adopt a nominalist position according to which the mathematical real is purely a being of language. But the mathematical real is obviously too subtle to be thought through such a naive antinomy. As far as we are concerned, the most adequate response to the aporia of Platonism seems to lie in the Husserlian principle of noetic-noematic correlation, which allows that the transcendence of objects is founded in the immanence of acts. According to this principle, the rules of the noetic syntheses of acts (regardless of the syntactical rules providing the norm for symbolic usage, in the theory of formal languages or of eidetico-constitutive rules as in transcendental phenomenology) can admit as noematic correlates objective idealities which ‘resist’, and which manifest all the urdoxic characteristics of reality manifested by transcendent objects. If one does not take up a thinking of correlation, one must either make of the noema real (non-intentional) components of acts, thus ending up with a subjectivist idealism; or hypostasise them into subsistent transcendent objects, thus ending up with an objectivist realism. In Mathematical Idealities Jean Toussaint Desanti has shown very well, with several examples (the construction of the continuum and the Cantorian theory of sets of points), how to develop an analysis of mathematical objects as intentional objects. Following Husserl, Cavaillès, and Bachelard, he has shown how through abstraction one extracts out of the field of objects common ‘normative schemas’ and ‘operatory kernels’ which correspond to so many axiomatisable structural concepts; and how through thematisation one transforms properties into new objects. The objects constructed in this way are not intuitable as such. They do not have a ‘transparent essence’. They are rationally authorised objects, axiomatically governed but not given intuitively (the critique of Husserlian given intuitions).57 Desanti insists on this crucial point, distinguishing as different types of acts the ‘positing of explicit kernels’ and ‘horizonal positing’. In the act of positing explicit kernels, there is a ‘grasp of the kernel in a consciousness of apodictic and direct self-evidence, yielding the reflexive immanent character of its own self-evidence.’ There is indeed intuition, but it is a modality of action that admits as objectal correlate an ‘explicit kernel’, a noematic object, not a subsistent object given intuitively ‘in person’. The object here is an intentional object, which can only partially be fulfilled in intuition; an object whose ‘transparency’ is produced ‘in a modality of the act of positing’. So here, self-evidence is not ‘a mode of specific apprehension’, but a positing—that is to say the product of a process of bringing to light. When an act of positing (definitions, axioms, etc.) ‘delimits the posited once and for all’, ‘the consciousness of self-evidence which lies reflexively at the heart of the act is here only a phenomenologically immanent character specific to the mode in which, at that moment, the constitution of the object, of consciousness within its object, is installed.’58 Thus, through reflection on the immanence of acts, mathematical idealities appear as intentional objects, that is to say as noematic poles, poles of ideal unity, poles normative for rule-governed sequences of acts. The reality of their existence ‘is constituted in the unity of three moments’:59 the moment of the hypothetical object associated with operations and procedures of a certain type, the moment of the object as noematic pole of unity, and the moment of the rule-governed and axiomatised mathematical object. It is the second moment that is essential, in so far as it operates the passage from the first to the third. Now, qua intentional, this moment is extralogical or extramathematical. On this basis, Desanti developed an intentional analysis not only of objects but also of theories and of the ‘consciousness of the axiom’. The latter is essential for clarifying the profound solidarity between Husserlian phenomenology and Hilbertian axiomatics, and in particular allows us to clarify—and, we believe, even to resolve—the aporia of Platonism. Mathematical Idealities might be considered an indispensable complement to Lautman’s oeuvre in so far as it is precisely on the question of the ‘proper movement’ of theories that, in Lautman, the intentional phenomenological analysis comes together with the Platonist dialectic in a ‘phenomenological description of concern for a mode of liaison between two ideas’.61 In their twofold status as intentional correlates and horizons of becoming, mathematical theories do not develop linearly ‘as an indefinitely progressive and unifying extension’.62 They ‘are rather more like organic units, lending themselves to those global metamathematical considerations which Hilbert’s oeuvre announces’.63 Through the associated Ideas, ‘mathematical truth […] participates in the temporal character of the mind’,64 for ‘Ideas are not the immobile and irreducible essences of an intelligible world’.65 Their dialectic is, let us emphasise once more, historical. Much could be said here on Lautman’s usage of Heidegger against the backdrop of a remarkable absence of reference to Hegel. i. Certainly, just as Heidegger conceived metaphysical systems as so many responses to the question of the meaning of being, responses each time oriented towards beings and not towards the comprehension of being, which remained unthought in them (the play of the veiling-unveiling of aletheia), so Lautman conceived mathematical theories as so many responses to Ideas, responses always oriented towards mathematical facts and objects and not towards the comprehension of Ideas themselves, which remained unthought in these theories. And yet, as Barbara Cassin points out, in Heidegger ontological difference cannot be seen as homologous with the opposition between Essence and Existence. For the latter (like the opposition between transcendence and immanence) is metaphysical. The Heideggerian ontological difference between being and beings cannot be made homologous with any metaphysical difference. One cannot therefore use any such metaphysical difference to speak either of Heideggerian difference or of the relations between it and the history of the systems of responses that it has engendered. ii. There is a problem of ‘metalanguage’ here which, as we know, led Heidegger (not to mention Derrida) to break with the metaphysical style. There is no metalanguage capable of speaking adequately of ontological difference. iii. But we must remark that this problem is not pertinent for Lautman. For in so far as he treats of mathematical theories and not metaphysical systems, for him metaphysical languages can, and indeed (as we have seen) do constitute an adequate metalanguage. iv. Finally, the reference to Heidegger again accentuates the ambiguity of Lautman’s relation to Plato, Hegel, and Husserl, in so far as Heidegger himself maintains an ambiguous relationship to these decisive moments of thought. In particular, here we should deepen the analogies between the Hegelian dialectic and Heideggerian historiality. These few elements of Lautman’s philosophy take on a singular aspect when one observes them at work in the debate—one of rare intensity—that brought together Lautman and Cavaillès at the Societé Française de Philosophie. Present, amongst others, were Henri Cartan, Paul Levy, Maurice Fréchet, Charles Ehresmann, and Jean Hyppolite. It was the February 4, 1939. Six years to the day before Yalta…. i. Mathematics has a solidarity—a unity—that prevents any regression to a supposedly absolute beginning (this being a critique both of logicism and of a phenomenology of the origin developed within the framework of a philosophy of consciousness). ii. Mathematics develops according to a singular, autonomous, and originarily unforeseeable becoming—thus, an authentically dialectical becoming. iii. The resolution of a problem is analogous to an experiment that is effective, as a programme, through the sanction of rule-governed acts. Mathematical activity is an experimental activity—in other words, a system of acts legislated by rules and subject to conditions that are independent from them. iv. In mathematics, the existence of objects is correlative with the actualisation of a method. 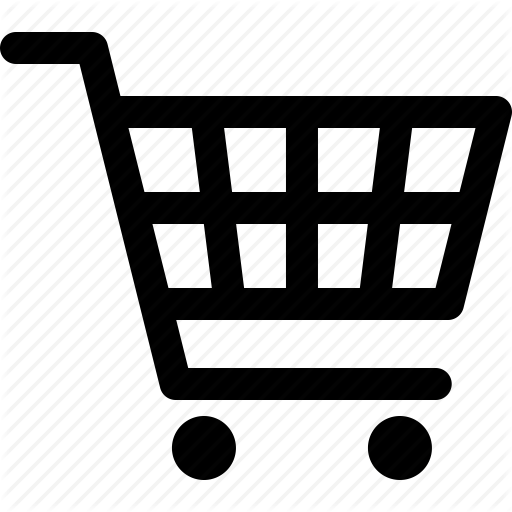 It is non-categorical,69 and proceeds from the very reality of the act of knowing. As correlates of acts, the objects project into representation the steps of a dialectical development. Their self-evidence is conditioned by the method itself. I do not seek to define mathematics, but, by way of mathematics, to know what it means to know, to think; this is basically, very modestly reprised, the question that Kant posed. Mathematical knowledge is central for understanding what knowledge is. The genesis of which I spoke is thus transcendental and not empirical, to take up Kant’s vocabulary. Ultimately, in his final response to Cavaillès, Lautman comes back once more to the question of Sense, to the ‘admirable spectacle’ of an ideal reality transcending mathematics and, above all, independent of the activity of the mind (opposition between a Dialectic of the concept and a philosophy of consciousness). The precise point of our disagreement bears not on the nature of mathematical experience, but on its meaning and its import. That this experience should be the condition sine qua non of mathematical thought, this is certain; but I think we must find in experience something else and something more than experience; we must grasp, beyond the temporal circumstances of discovery, the ideal reality that alone is capable of giving sense and value to mathematical experience. Beyond its moving spiritual significance, this historical debate shows that the knot of the Dialectic consists in making the problematic of the constitution of objective realities equivalent to a hermeneutics of the autonomous historical becoming of mathematics. This point can only be clarified through an evaluation of Lautman’s philosophy, by which we might hope to mitigate his tragic premature death. How are we to evaluate the Lautmannian conception, both on the plane of mathematical philosophy and that of transcendental philosophy (the relation between metaphysics, reality, and mathematics in the framework of a constitutive doctrine of objectivities)? One of the first remarks one might make would be to note that Lautman developed a comprehensive—hermeneutic—analysis of mathematics that might be qualified as thematic in Gérard Holton’s sense. On the basis of the historical study of numerous concrete cases, Holton discovered empirically and inductively the existence of certain dialectical premises and presuppositions underlying scientific representations and practices, and acting unconsciously in the genesis of scientists’ work. He called these generally occulted formations of sense themata, and developed a psycho-historical and sociocultural version of transcendental dialectic. As a system of conflicts between opposing notions—as problematic Ideas—the themata develop an antithetic of objective reason. They are non-refutable, and manifest a certain stability even if, obviously, the evolution of the sciences leads to considerable variations in their determination. According to Holton, the thematic analysis of the rational conflicts (antinomies, even) between discrete/continuous, simplicity/complexity, analysis/synthesis, mechanism/finalism, determinism/indeterminism, holism/reductionism, constancy/evolution/sudden transition, etc. pertain to an investigation of the scientific imagination and, through their dialectical nature, could help account for the conflicts between different schools of thought. His orientation is thus psychological (imagination), sociological (controversy), and historical (empirical case studies)—in short, anthropo-semiotic rather than epistemological and gnoseological. As Angèle Kremer Mariette has noted,76 his point of view is that of an ‘anthropology of science resting on an essentially genetic epistemology’. He envisages the activity of the scientist as ‘a development of symbolisation, on the basis of a real apprehended according to certain forms acceptable to a given state of a society and a history’. In this sense, he is rather close to a hermeneutico-communicational (Habermasian) analysis of beliefs repressed through the formation of consensus. iii. For the isolation of mathematical creativity’s solidarities with the movement of thought. But this remains largely insufficient. Lautman’s project, unlike Holton’s, is not anthropological or historicist, but metaphysical and rationalist. It bears not upon the activity of the epistemic subject, but upon the reality of the theoretical object. As we have seen, it has an ontological import, and must be evaluated in transcendental terms. But to speak in terms of a transcendental logic (a logic of the objectivity of the object of knowledge) of a dialectic of the concept immanent to the development of objective theories, is to admit an aporetic ground of the real. It is to admit what René Thom, precisely speaking of Holton’s thematic analysis, called the ‘foundational aporia’ constitutive of the real. In his article ‘Holton’s Themes and Foundational Aporias’,77 René Thom indicated how the themata can be reconstructed by combining the dyads unity/diversity and extension/quality with the action of time in the empirical manifold. It is principally the irreducible tension between the antagonistic metaphysical principles of unification and diversification that are found at the origin of irreducible aporias (such as the discrete and the continuous, space and matter, etc. ), to which specific and effective theories can be considered as so many partial solutions, always local and always provisional. We do indeed find here, implicitly, the Lautmannian concept of problematic dialectical Ideas. But the principal difficulty remains: that of the intersection between objectivity and sense, that is to say between a transcendental thinking of the constitution of objects and a hermeneutic thinking of the historical becoming of theories. It is this last point we now wish to investigate. i. As far as mathematics is concerned: in particular the autonomisation and unification of mathematics, that is to say not only its being torn from the sensible world of prepredicative givens (from which mathematics had long been considered to derive via idealisations and successive abstractions), but equally its emancipation from empirical experience (cf. 2. b). ii. As far as reality is concerned: the possibility of generalising to diverse regional ontologies, in conformity with the constitutive programme of phenomenology, the critical doctrine of the constitution of objectivities. iii. A mathematics affined to the aesthetic, and which comes to determine its forms of intuition into formal intuitions. How can such a conception be reprised, developed, diversified, rectified even, if, on one hand, mathematics are autonomised and if, on the other, in order to be able to generalise the Kantian gesture, one is constrained, like Husserl, to subordinate diverse regional ontologies to a formal ontology—that is to say, to subordinate the aesthetic to an analytic, one that is purely logical and thus, as Cavaillès insisted, ‘irremediably insufficient’? The difficulty is such that, in fact, it would be easier to eliminate the question rather than seek a response to it. On this point logical empiricism and various post-positivist scepticisms were in complete agreement. In our view, Lautman’s aphorism represents one of the most fulgurating thoughts in the philosophy of the modern sciences. It sets up a parallel, a proportion, an analogy, in regard to ontological difference. What we have already said in 2. c and 2. d here takes on its full significance. Let us remark, then, that for Lautman, as for every rationalist, no scientific concept is authentically theoretical unless it is endowed with a mathematical meaning. In science, to use theoretical concepts to speak of certain types of objects, properties, or situations, is to have chosen a universe of mathematical discourse: to speak of simultaneous phenomena, for example, is to speak the language of special relativity; to speak of co-measurable magnitudes is to speak the language of commutative operators; to speak of the invariance of a magnitude is to speak the language of group theory, etc. Consequently, in the transcendental analogy proposed by Lautman, mathematics intervene in the position of a middle term, linking the Dialectic to phenomenal experience. To be more precise, the relation between mathematical theories and objective theories is effectuated through the conversion of the semanticism of fundamental concepts into explicit mathematical constructions. We have shown elsewhere why and how such a conversion can be interpreted as a schematisation (in the Kantian sense: the construction of a concept into a determinate pure mathematical intuition). The schematisation of concepts is the key to authentic theorisations. All conceptual science must, at a certain moment, be able to redeploy in a constructed diversity of models the movement of subsumption of the empirical (given) manifold under the unity of concepts. For this to take place, the semanticism of fundamental concepts must be able to become a source of models. There must be a generativity, and thus a mathematisation. It is this that schematisation gives us. For with schematisation the models of the phenomena of a certain region come ‘into conformity with the things themselves’, that is to say into conformity with a categorially-determined objective essence. —with (i) and (ii) being linked by a symbolisation, mathematics engender—in their autonomous theoretical becoming—aesthetics (plural) and schematisms (plural) for an open and indefinite number of regional ontologies. They progressively transform an ideal dialectic into a concrete and plural history of transcendental analytics. In their relation to reality, they historicise the Kantian operation into a generalised Critique which represents a dynamic version of constitutive phenomenology. 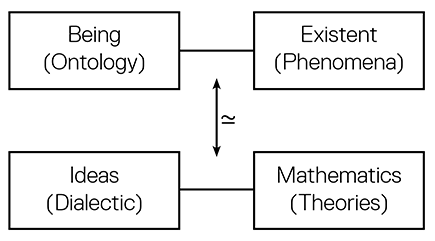 In reducing mathematics to being nothing more than the syntax of languages in which verifiable experimental statements can be made, in identifying comprehension and intelligibility with a ‘mystical belief’, in liquidating the synthetic a priori, logical empiricism and neo-positivism make this schema fall back onto a simple dualism of syntax/semantics similar to that encountered within the logical theory of models. To make the transcendental analogy clearer, let’s take up some elements of Lautman’s superb text on ‘Symmetry and Dissymmetry in Mathematics and Physics’. From the moment one posits a participation of theories in a transcendent intelligible world, the common participation of two theories in the same Idea manifests ipso facto, through the unity of the latter, an essential solidarity and accord between the former, whether it is a question of two mathematical theories or of a mathematical theory and a physical theory. i. First of all, we must invert the relation of dependence between metaphysical exposition and transcendental exposition in the Transcendental Aesthetic, making of formal intuitions the evolutive mathematical determinations of forms of intuition. ii. Consequently, as far as schematism is concerned, we must make it depend not only, as in Kant, upon the metaphysical exposition, but equally upon the transcendental exposition, thus making it the origin of the mathematical organon in the sciences (cf., in 2.a, our remarks on the Kantian interpretation of Poincaré’s conventionalism). iii. In so doing, the schematism, contrary to what it is in Kant, becomes the construction of the concept. iv. 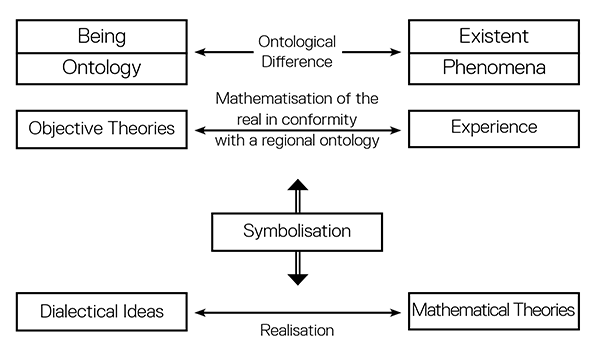 But this obviously does not mean that the ontological categories are as such constructible mathematical concepts. It means that they can be analogically homologous to such concepts. v. This constructive schematism extends the categories and metaphysical principles associated with derived concepts operating upon empirical contents. The concept of symmetry furnishes a prototypical example. Playing a central role in the Transcendental Aesthetic, it is a categorial concept of nature which is found schematised in various ways. In each case, its construction rests upon its interpretation within a certain mathematical universe. Now, such an interpretation is not a symbolisation. For in the Kantian doctrine, symbolisation represents a degraded form of schematisation appropriate for Ideas (whether rational or aesthetic) that are in principle non-schematisable. Now, Lautman precisely treats the categorial concept of symmetry as an Idea—perhaps not an Idea in the strict Kantian sense, but at the very least as a concept of reflection. Rather than make of it a ‘maxim of physical judgment’ (like the principle of relativity or the principle of least action), he makes it a concept at once constitutive and heuristic, as if he did not regard as pertinent the Kantian difference between determining judgment and reflective judgment—and therefore that between schematism and symbolisation. There is obviously much that could be added on the importance Lautman’s thought might have for the current state of epistemology, were its importance judiciously evaluated. Let us just briefly indicate some possibilities. As eminent epistemologists such as Gaston Bachelard and Ludovico Geymonat have emphasised, in order correctly to think the movement of modern objective sciences, it is necessary to articulate a critical rationalism with a scientific historicism. This ‘dialectic of historical status and objective status’89 can nonetheless concern either the techno-experimental apparatuses of the sciences, or their eidetico-constitutive a priori. In the first case, the historicity will be that of (materialist) technicist practice, in the second case it will be that of an ideal (transcendental) dialectic. In his analyses of contemporary sciences as ‘applied rationalism’ and ‘technical materialism’, Bachelard opted for the first path.90 While insisting upon the constitutive function of mathematics in the techno-rational ‘ontogeneses’ of physics, and founding the history of sciences upon a ‘dialectic of epistemological obstacles and epistemological acts’,91 he subordinated the latter to the instrumental evolution of the disciplines in question. What is specific to Lautman is his having succeeded in thinking another dimension, an ontological dimension close to Heideggerian ‘historiality’: that of the historicity of the rational reconstruction of the real. Now in their historical evolution, these Weltbilder realise a ‘dialectic’. As ‘schematic conformity with the real’, a Weltbild is always partial and approximative. It is always engaged in a ‘dialectical process that permits the improvement of the schematisation of the real.’98 It thus does indeed constitute, as Gonseth conceives it, the deepening of the ‘symbolisation’ upon which Lautman founded his conception of the relations between mathematics and reality. As enigmatic as it might be, the intelligibility of the universe is a fact. A fact we must somehow account for. In our view, Lautman was fundamentally in the right when, in order to do this, he adopted an anti-empiricist point of view and came back to the critico-phenomenological tradition. For in truth, there are indeed transcendental structures of objectivity that anticipate a priori the structure of empirical phenomena (ontological difference, comprehension, and genesis). The whole difficulty lies in achieving a mathematical conception of the a priori, something neither Kant nor Husserl managed to do for lack of an appropriate mathematical philosophy. Mathematization permits us to constrain the anticipation within its form and to diversify it in its consequences. It thereby allows us to test it. As far as we are concerned, the critique we address to Lautman is certainly not that of being an idealist. Quite on the contrary. Rather, we criticise him only for not always maintaining a good Kantian distance between schematisation and symbolisation, between determinative judgment and reflective judgment, between categories and Ideas, between Analytic and Dialectic, in short between knowledge and thought. This indecision relative to the irreversible gains made by the critical method, let us repeat, results in a general difficulty in grasping quite what it is that prevents Lautman’s dialectic, which would be Platonist, from surreptitiously becoming a Hegelian dialectic limited to mathematics. But it does not at all invalidate the remarkable pertinence of Lautman’s research programme. It is incomprehensible and unjust that such an inspired mind has been so little celebrated. For there is truly a genius, an intellectual and a spiritual genius, in dedicating oneself by vocation to the patient study of ‘this increate germ which contains in it at once the elements of a logical deduction and of an ontological genesis of sensible becoming’.100 Yes, it remains to remake the Timaeus. First published as ‘Refaire le « Timée ». Introduction à la philosophie mathématique d’Albert Lautman’, Rev. Hist. Sci. 1987, XL/1. A more comprehensive version of the French text is available here. Or even ‘neo-platonist’, according to J. Ullmo, La Pensée scientifique moderne (Paris: Flammarion, 1969). M. Castellana, ‘La Philosophie mathématique chez Albert Lautman’, Il Protagora 115 (1978): 12–24. This is one of the (too) rare recent texts on Lautman, and constitutes a good introduction to his philosophy. J. Dieudonné, Introduction to A. Lautman, Essai sur l’unité des mathématiques et divers écrits (Paris: UGE, 1977), 15, 19. ‘Real’ in the sense of idealities. J. Dieudonné, ‘Bourbaki et la philosophie des mathématiques’, in Un siècle dans la philosophie des mathématiques (Brussels: Office international de Librairie, 1981), 178. Lautman, Essai sur l’unité des mathématiques et divers écrits (Paris:UGE, 1977), 204 (this volume is a republication of the works published by Hermann between 1937 and 1939, and posthumously in 1946. M. Loi, Preface to Lautman, Essai sur l’unité des mathématiques, 9. For a brief presentation of conventionalism, see for example P. Février, ‘La philosophie mathématique de Poincaré, in Un siècle dans la philosophie des mathématiques. 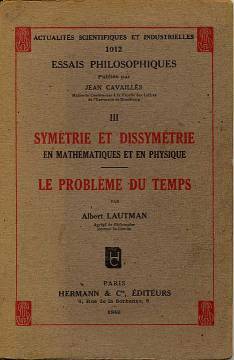 Lautman, Essai sur l’unité des mathématiques, 285. See G. Deleuze, Difference and Repetition, tr. P. Patton (London: Continuum, 1997). Along with Ferdinand Gonseth and very recently Jean Largeault, Gilles Deleuze is one of the (too) rare philosophers to have appreciated the importance of Lautman. Cf. J.T. 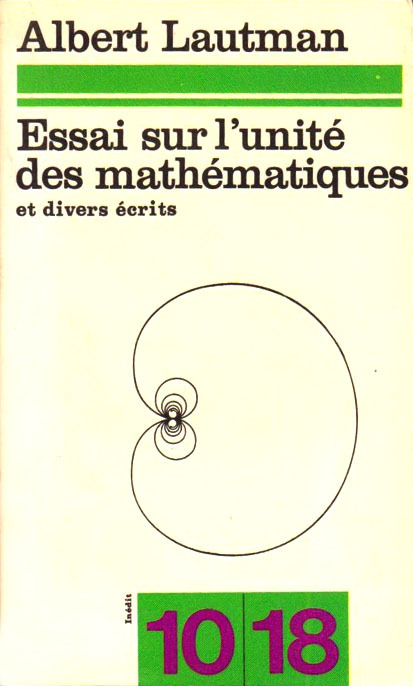 Desanti, Les Idéalités mathématiques (Paris: Seuil, 1968), 48–9. One will recognise those indicated above under the heading ‘The Question of Platonism’. Here Cavaillès draws the philosophical consequences of the results of non-categoricity in the logical theory of models (Skolem’s paradox, syntactic/semantic divergence, existence of non-standard models). For an elementary introduction to these questions, consult J. Petitot, ‘Infinitesimale’, in Enciclopedia Einaudi, VII (Turin: Einaudi, 1979), 443–521. We saw how, in On the Logic and Theory of Science, Cavaillès opened up this transcendental problematic. J. Cavaillès and A. Lautman, Mathematical Thought. Even though, as we have already seen Barbara Cassin remark, the ‘dialectic’ developed by Plato in Republic concerned the contemplation of Ideas and, by virtue of this, did not have the controversial and antinomic character it took on in the metaphysical tradition from Aristotle to Kant. As much as Lautman is authentically Platonist in his conception of the participation of the sensible in the intelligible, he also seems to become surreptitiously Kantian and/or Hegelian in his conception of Dialectic as Antithetic. As for us, the criticism we would make of Lautman is that of not having clearly divided transcendental concepts into determinant categories and rational Ideas. In the justification: ‘M. Hyppolite says that posing a problem is not conceiving anything; I respond, after Heidegger, that it is to already delimit the field of the existent’ (Mathematical Thought), we find a categorial Analytic (‘delimit the field of the existent’) amalgamated with a rational Antithetic. Article ‘Holton’ in the Dictionnaire des Philosophes. R. Thom, ‘Holton’s Themes and Foundational Aporias’, in Logos et Théorie des catastrophes (Colloque de Cerisy, 1982). Constraints of space prevent us from developing in detail these delicate technical points. The interested reader is referred to J. Petitot, ‘À propos de « Logos et Théorie des Catastrophes »’, Babylone 2/3 (Paris: Christian Bourgois, 1983, 221–260; Morphogenèse du Sens II (Paris: PUF, 1986); ‘Apories fondatrices et Dialectique mathématique’, Conference ‘Controverses scientifiques et philosophiques’, University of Evora.  Documents du Centre d’Analyse et de Mathématiques sociales (Paris: École des Hautes Études en Sciences sociales, 1986); ‘Mathématique et Ontologie’, in La rinascita della filosofia della scienza e della storia della scienza in Italia dagli anni trenta ad oggi, University of Varese; and ‘Schématisme et Interprétation’, in Colloque sur l’Interprétation (Collège Internationale de Philosophie, 1986). Cf. Petitot, ‘Mathématique et Ontologie’. Cf. Petitot, ‘À propos de « Logos et Théorie des Catastrophes »’ and Morphogenèse du Sens II. L. Geymonat, Lineamenti di filosofia della Scienza (Milan: Mondadori, 1985), 128. Cf. for example G. Bachelard, L’Activité rationaliste de la physique contemporaine (Paris: PUF, 1951). Letter of 9 April 1922. T. Tonietti, ‘Quattro letttere di Edmund Husserl ad Hermann Weyl’, in E. Husserl e la crisi delle scienze europee (University of Lecce, 1984). P. Wehrlé, L’Univers aléatoire (Paris: Edition du Griffon-Vrin, 1956), 13. This little-known work, with a preface by Gonseth, is a good complement to his oeuvre. I thank my friend Guy le Gaufey for having brought it to my attention. A. Einstein, paper given in 1918 in honour of Planck’s birthday. Cited in J. Stachel, ‘Einstein and the Quantum: Fifty Years of Struggle’, in R. Colodny (ed), From Quarks to Quasars (University of Pittsburgh, 1986). Ibid. 30. It is a question of the standard interpretation but the error of conventionalism (cf. 2. a). Cf. Stachel, ‘Einstein and the Quantum’. J. Cavaillès, ‘Transfini et continu’ , in Philosophie Mathématique (Paris: Hermann, 1962), 253-274: 272.